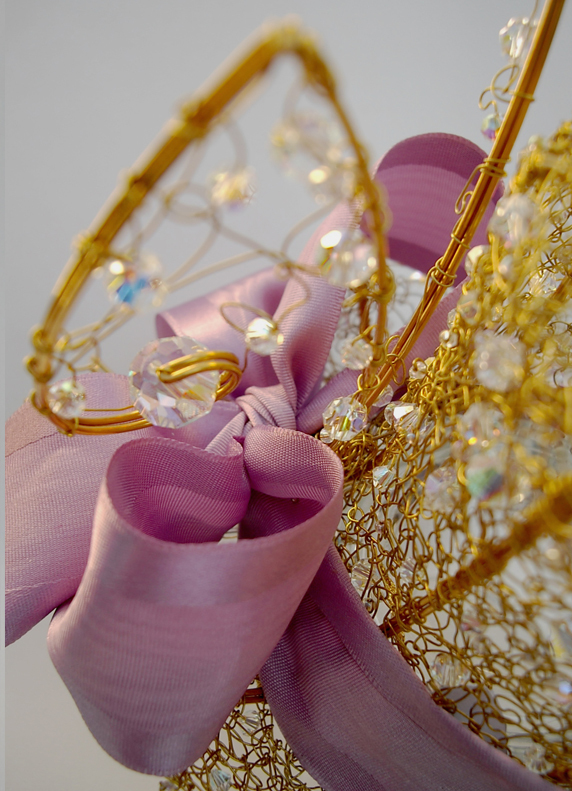 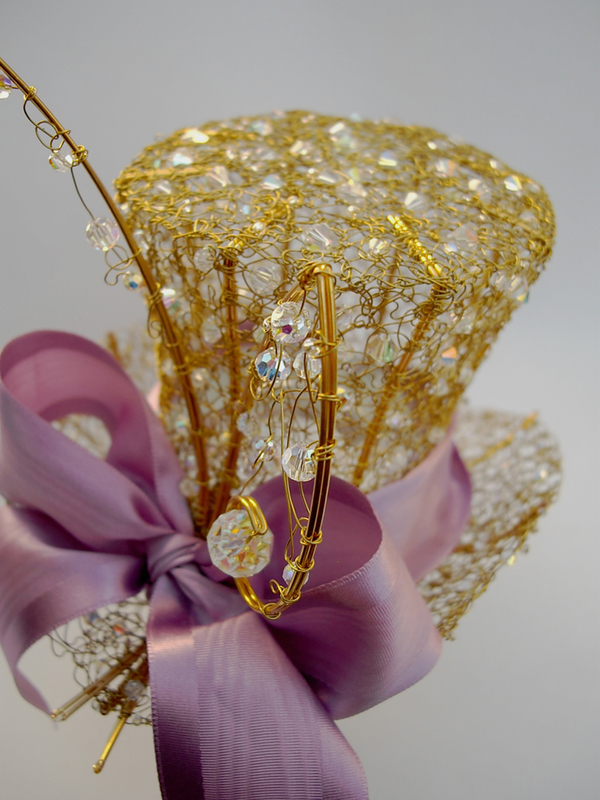 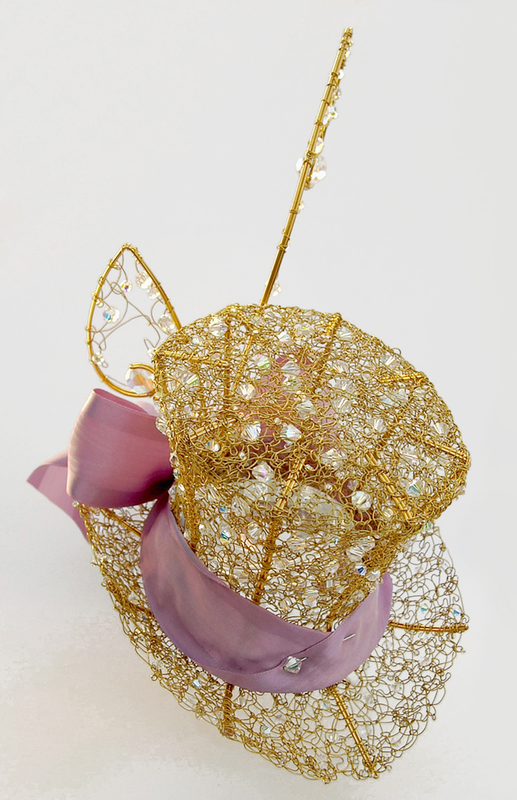 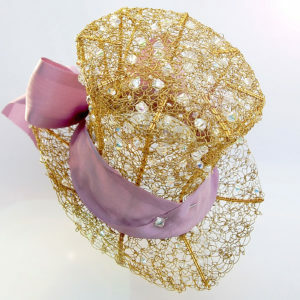 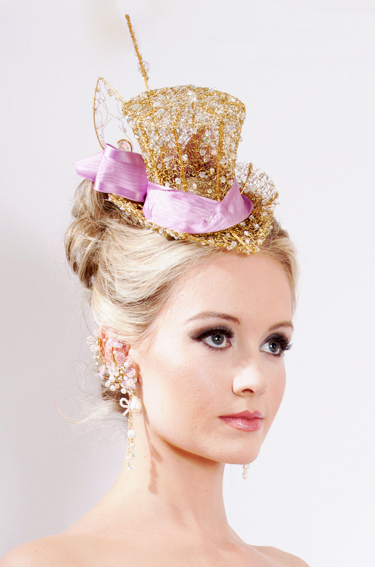 Satine - Gold & Crystal Wirework Mini Top Hat / Topper by Chantal Mallett Bridal Accessories. 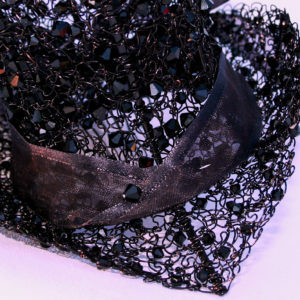 Also in Black. 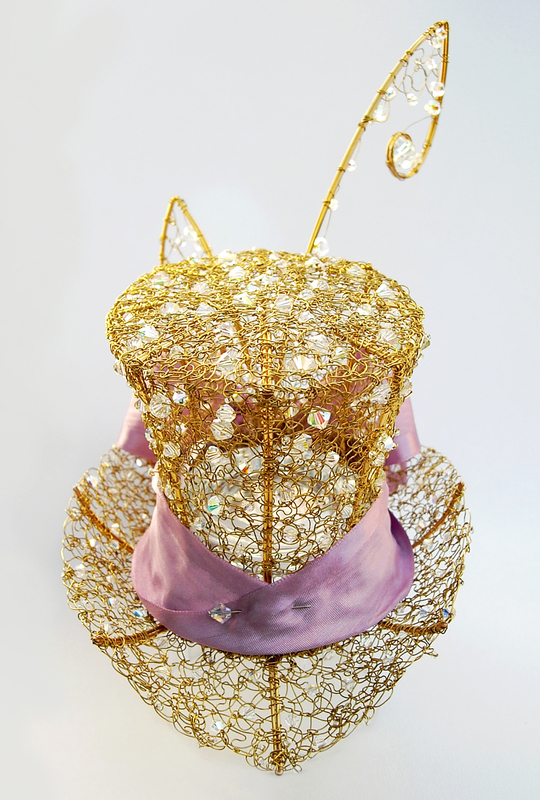 Shown in Gold with Crystal Aurora Borealis (ab). 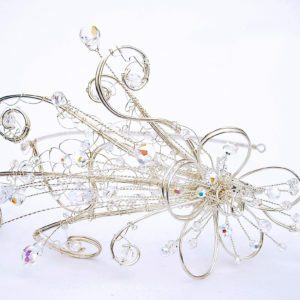 Also available in Silver & Crystal (ab) & coated Black with Black Crystals (see other listing). 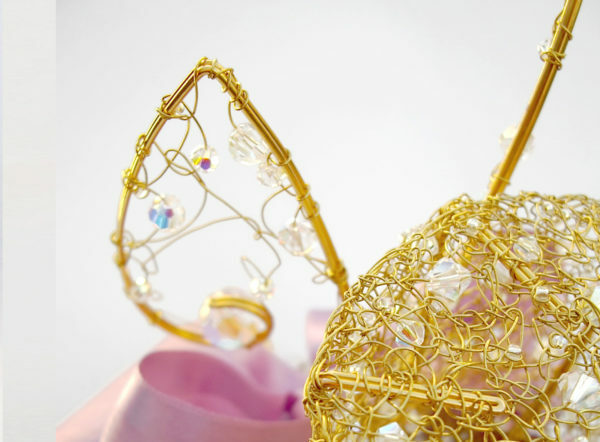 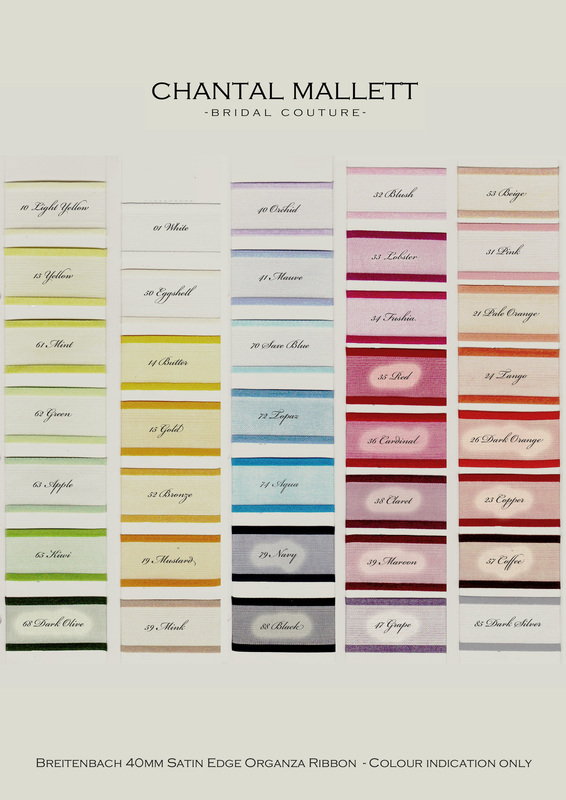 Secures by pinning through the base & over loops at the base or by wiring to a 5mm wide, wire bound alice band (see separate listing to add one to your order in gold, silver or brown).